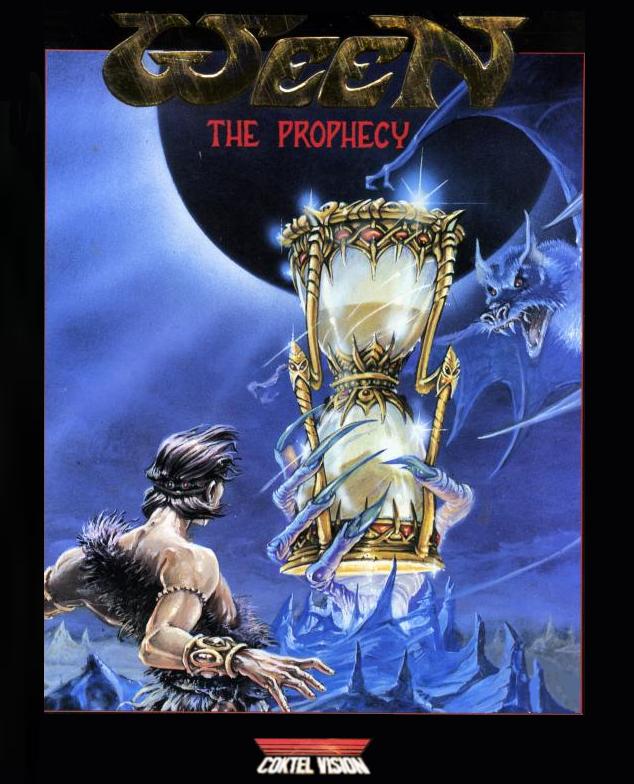 Ween: The Prophecy (known in the United States as The Prophecy) is an adventure game by Coktel Vision that was released in 1992. In order to fulfill the prophecy, a wizard must complete three quests in three days to be given three pieces of sand that he must place in an hourglass to kill an evil wizard. Ween: The Prophecy is now supported by ScummVM, a program designed to let 2D adventure games run on multiple platforms. With ScummVM, Ween: The Prophecy now runs on modern versions of windows, as well as Linux, Mac OS X, and many consoles such as Dreamcast, Wii, PlayStation 2, and PlayStation Portable. For a complete list of platforms supported by ScummVM, see here.